In a 6-2 decision Commil USA, LLC v. Cisco Systems, Inc, the Supreme Court held that a good-faith belief that a patent is invalid is not a defense to inducement of patent infringement under 35 U.S.C. § 271(b). Commil USA, which holds a patent for a method of implementing wireless networks, sued respondent Cisco Systems, a maker and seller of wireless networking equipment. A jury found Cisco liable for both directly infringing Commil’s patent as well as “inducing” others to infringe by selling them the infringing equipment. The Supreme Court had previously held that for liability for inducement under 271(b) to attach, the defendant must know that its induced acts are infringing, that is, inducement liability requires knowledge of patent infringement. See, e.g., Global-Tech Appliances v. SEB S.A., 563 U.S. __, __ (2011); Aro Mfg. Co. v. Convertible Top Replacement Co., 377 U.S. 476, 488 (1964). The Supreme Court started with the premise that liability for inducing infringement attaches only if the defendant knew of the patent and that the induced acts constitute patent infringement. 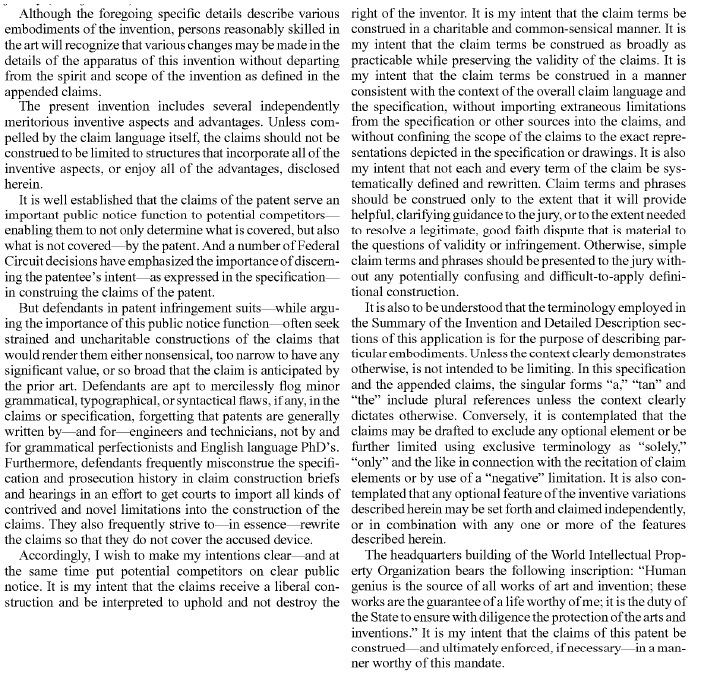 The Supreme Court provided four arguments why belief about the validity does not negate the scienter required by 271(b): First, the court found that when infringement is the issue the validity of the patent is not the question to be confronted, noting that a declaratory judgment of invalidity presents an independent claim from the patentee’s charge of infringement, and that issues of validity and infringement are in separate parts of the patent act. Second, the Supreme Court said that allowing a defense of invalidity would “undermine” the statutory presumption of validity. Third, the Supreme Court asserted that invalidity is not a defense to infringement, it is a defense to liability, and thus it cannot negate the scienter required for inducement. Fourth and finally, the Supreme Court identified “practical reasons” not to create a defense based upon the good faith belief of invalidity, including the fact that there are various ways to obtain an invalidity ruling, and recognizing the defense would render litigation more burdensome, and because it is harder to determine validity, it would be easier to prevail on a defense based upon belief of invalidity, and it would burden the jury to separate issues of invalidity from belief of invalidity. The dissent by Justice Scalia started with the observation that anyone with a good-faith belief in a patent’s invalidity necessarily believes that patent counsel cannot be infringed. 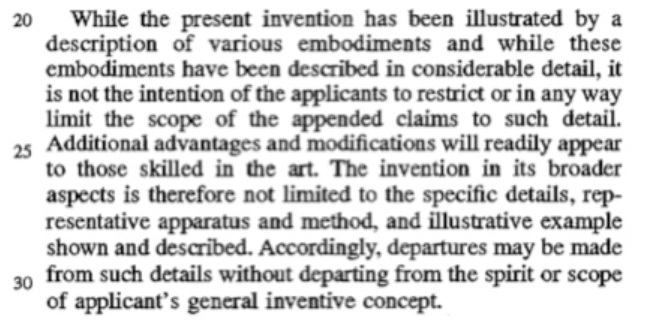 The dissent then went on to address the majority’s four arguments, observing that while it was true that the patent act treats infringement separately from validity, it is irrelevant. Recognizing infringement requires validity is entirely consistent with their separate nature. The dissent next observed that the presumption is not weakened by treating a good-faith belief as a defense. While if successful the defense avoids liability, it in no way undermines the patent’s presumed validity. The dissent called “invalidity is not a defense to infringement, it is a defense to liability” as a mere assertion, asserting instead that an invalid patent confers no rights. Finally, the dissent rejected the majority’s “practical reasons” not to create a defense to inducement as flawed because it wasn’t up to the Court to create or not create defenses, but to interpret the patent act. A good faith, but incorrect, belief that the patent is invalid is no defense to a claim for inducement. However a good faith, but incorrect belief that the patent is not infringed is a defense to a claim of inducement. But non-infringement depends upon claim construction, which in turn is pressured by validity considerations. Does an opinion that the claims are not infringed because they cannot be validly construed to cover the accused device protect the manufacturer from a claim of inducement? After Commil a business without a clear non-infringement position should consider preemptively test the validity of the patent, or risk subsequently being liable for inducement if the patent is later found not invalid.